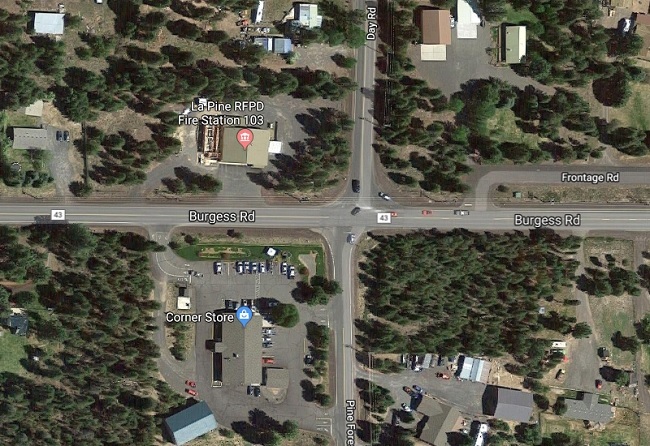 BEND, OR -- It may be late in the construction season, but the head of the Deschutes County Road Department says that’s not stopping them from squeezing in a few more projects before winter. "There’s enough of a construction window left that we have a couple of small turn-lane projects, here in the county, that we just started in the last several weeks," says Director Chris Doty, "So, we’re going to do it." County crews are already working on a turn lane on Deschutes Market Road at Dale Road, near the Boonesborough neighborhood. "We have sight distance issues there," says Doty, "There’s a lot of traffic on Deschutes Market Road, now. We’ve seen 5-10% increases in traffic volume for the last five years, or so. So, it’s a big safety issue." He tells KBND News, "We’re going to add a turn lane to provide safe access into the subdivision." As part of that project, Dale Road has to shut down for three weeks, starting Monday, "Dale Road will be closed for a short period of time, while it’s realigned and addressed. There’s another entrance into the subdivision that will be signed with a detour." Doty says repaving work shouldn't impact drivers as much, "During the actual overlay work, that will happen towards the tail end of the project in mid-October, that paving work will be done at night; so hopefully we won’t have a big traffic impact to commuters on Deschutes Market." They’re also working on a similar project in South County. Crews are trying to fix the intersection where Day and Pine Forest roads cross Burgess Road in La Pine (pictured). Doty says Day and Pine Forest don't quite meet up right, "So, we’ll be correcting that offset and realigning those roads to line up, and also installing a turn lane on Burgess Road. There’s thousands of homes off Day Road, so as traffic volumes are increasing all over the system, down there, the amount of growth it’s had, eventually we warranted a turn lane for safety. And, certainly, the fact that the intersection is offset has created safety problems, as well." Both projects are funded by House Bill 2017, the statewide transportation package passed by the Legislature in February. Doty expects both turn lane projects to be complete by the end of fall.